B+ Recommended Read. I loved the witty banter and the clear connection Rowan and Jared had. Jared is young but his work has made him older than his years and he came across to me as mature and a fitting match for Rowan. 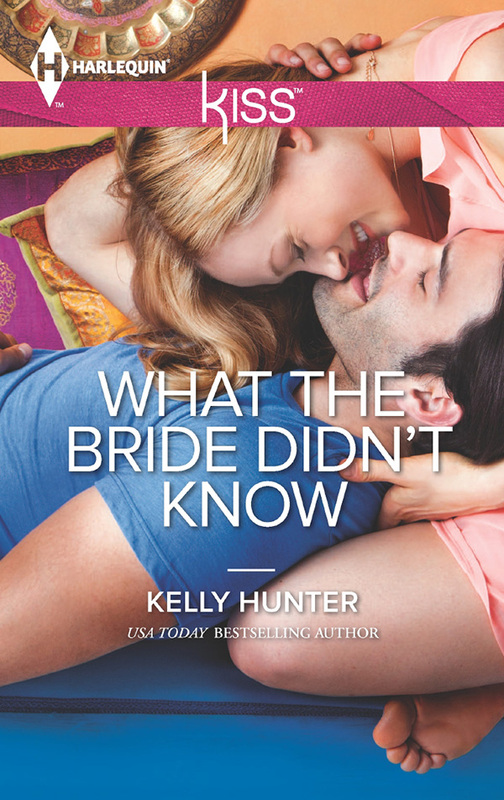 I love what Kelly Hunter does with category romance tropes, and this one was a older woman-younger man romance. Like all Hunters, I adored the back-and-forth banter between Jared & Rowan, and how they sparked off each other from the start. The attraction totally made sense in the context of their characters – I loved how Jared admitted to himself how he was attracted to power especially. 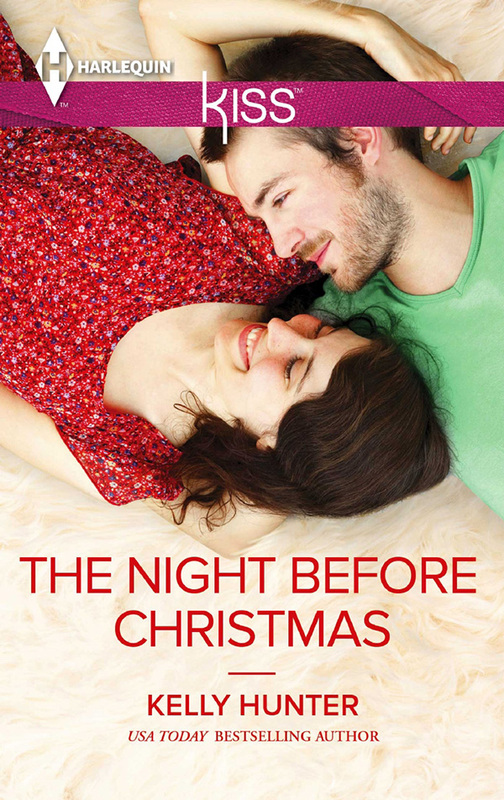 He’d missed birthdays, two Christmases and two New Year’s Eves, but he hadn’t missed his sister’s wedding. That had to count for something. So he’d been slightly late and utterly filthy? His sister Lena had still slotted him into her wedding party without a moment’s hesitation, before turning back to the celebrant and marrying his best friend Trig—Adrian Sinclair. That had been several hours ago now. The wedding dinner plates had long since been cleared away and the dancing was now in full flow beside the lazy snake of an Aussie river, with spotlit red gums soaring into the night sky. Jared had tried to be there in spirit as well as in body. He’d smiled until his jaw ached. He’d danced with the bride and he’d teased the groom. He’d stood until he couldn’t stand any more, and then he’d sat beneath one of the big old gum trees, his back to the bark, and let the party happen around him. It had to be mid-evening by now—with many of the guests gearing up to kick on well into the night. Jared, on the other hand, could feel the adrenaline seeping out of his body and leaving a bone-deep exhaustion in its wake. He needed to find a bed and lie in it for a few days, weeks, months… He needed to find a place to be, a place to stay. Damon had offered the beach house, and, yeah, maybe that would work for a few days. But people had a habit of dropping by the beach house, and what Jared really wanted was to be alone. He watched with faint interest as Trig headed his way with a woman in tow. She’d arrived about an hour ago and hadn’t seemed the slightest bit perturbed that she’d missed the wedding ceremony or the food. Not a guest, he surmised. He didn’t quite know what she was. Immaculately dressed—he’d give her that. All class, with slender legs and a pair of high-heeled shoes that he figured had cost a small fortune. Both his sisters had gone through an expensive shoe phase. He recognised the look of them, even if he couldn’t recognise the brand. The shoes stopped in front of him and he looked up, his head resting against the tree trunk, steadying him, holding him. Up close, he could see that the slender athletic form he’d been admiring had more miles on it than he’d thought. Up close, he could see that whoever had put this woman’s face together had had one hell of a liking for the unusual. She had a wide, lush mouth that tilted up at the edges, and wide-set eyes that tilted up at the edges too. Her nose was small. Her brown hair was short and boyish. Her ears weren’t big, but maybe—just maybe—they stuck out a little. Together, her features made up a whole that was too odd to be classically beautiful and too arresting to be ignored. Section Five. Jared tried to get his brain to work. Section Five was Eastern Europe, and when he’d left two years ago it had been headed up by Old Man Evans. Hard to say if she was going to be an ally Jared could use or not. Her voice came at him gravel-rough, with just enough honey at the edges to keep things interesting. She bent lower; she had to if she wanted to get a good look at his face. That smile was a weapon. He’d noticed it. Black. Sleek. Probably armour-plated. ‘Why all the security for a wedding?’ He’d noticed them—of course he had. Fully a quarter of the guests here tonight were Special Forces and plenty of them were packing. As was the woman standing in front of him. She was ten years older than him. Her laugh came low and unfettered and slid straight into the number one spot in the list of things he needed to make this woman do again. ‘Call me Jared,’ he murmured, and then he caught Trig’s sudden alertness and switched his attention to his oldest friend—who was now his brand-new brother-in-law. Trig looked faintly amused—or was it resigned? Maybe Trig had ESP, or maybe he’d simply known Jared so long that he could read every twitch, but somehow Trig had sensed his interest in this section head with the funny face and the whisky voice and the smile that was a weapon. ‘I’ve had worse.’ Jared turned his attention back to the director and smiled. Did the woman’s lips never stop tilting towards a smile? Her expression grew guarded and in that moment he got a glimpse of the razor-sharp politicking that could make a woman section head at forty. Life events got in the way of writing this one. I took a long hiatus from writing romance and getting back into it proved tricky. I’m forever grateful that readers waited for the final story in the series and that so many thought it worth waiting for. Receiving notes from satisfied readers is truly one of the best parts of being an author.